Gunung Pulai is a 654 meter high hill near the city of Johor Bahru. Although “Gunung” means “mountain or Mt.” in Malay, it is technically not high enough to be regarded as a mountain. 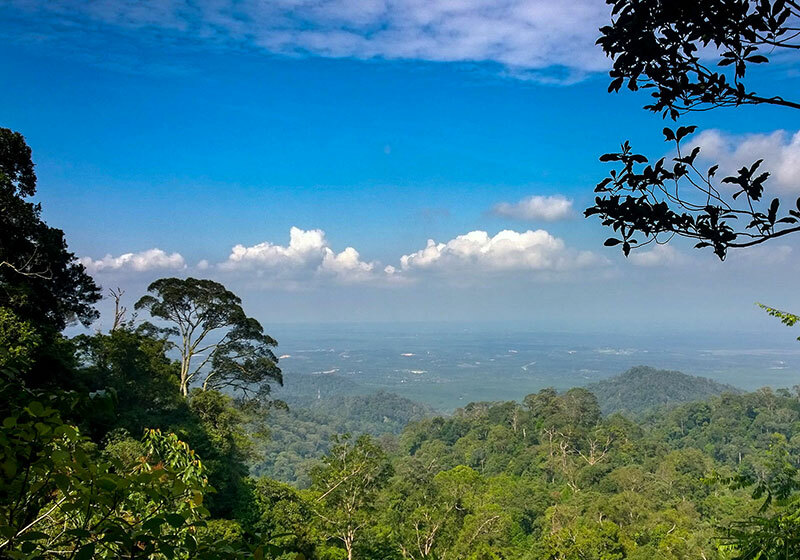 Unlike Genting Highlands, Mount Pulai’s peak is not high enough for you to enjoy a cooling climate. However, its altitude does make it consistently 3 to 7 degrees cooler than at ground level, especially when you reach mid-range in the morning. If you start your ascent early enough, you’ll enjoy a cool 25-27oC breeze, which gets even cooler during the wet season. Short Description: Mount Pulai is a mountain in Kulai District, Johor, Malaysia. The mountain features the Pulai Waterfall and Mount Pulai Recreational Forest 1 and 2. The mountain houses three telecommunication towers. Two are located at the peak of the mountain and another one is located slightly lower from the peak.